“The staff are very understanding and sympathetic”,”its lovely here, everyone is so lovely and kind” and “they do the best they can”. One person told us staff asked them what they liked to be called when they first entered the home. Another person told us they had made friends with another person who used the service. They said staff encouraged this and enabled them to sit together in the lounge and at mealtimes. Church View Care & Nursing Home is a well-established care home which provides Residential, Respite, Day Care and nursing care. Situated in a quiet residential area on the outskirts of Stratton, it is easily accessible by public transport and within walking distance of a local shop, post office and park. Welcome to Church View Care & Nursing Home Church View is a lovely care home in a quiet residential area on the outskirts of Stratton St Margaret, Swindon. Run by well-established local care providers Coate Water Care, Church View is staffed by a highly dedicated team of care professionals who work tirelessly to provide the safe, caring and friendly environment all of our residents and day care visitors deserve. Coate Water Care prides itself on being a family business with a caring, personal touch, but it is also forward-thinking and invests heavily in the upkeep of its properties and in the exceptional staff that run them. Up-to-date technology records patient histories, diagnoses and daily living requirements, so that care can be tailored to each person’s individual needs. Church View Care and Nursing Home offers first-class residential care, day care and respite care, including 24-hour nursing care for people living with dementia. Our qualified nurses and experienced carers also provide specialist care for residents with palliative care needs. Our staff believe passionately that being treated with dignity is a basic human right, not an optional extra. Our experienced Activities Coordinator organises special events, outings and parties for residents, their families and friends. We take time to find out what residents enjoy and try to incorporate their hobbies into their daily routine. 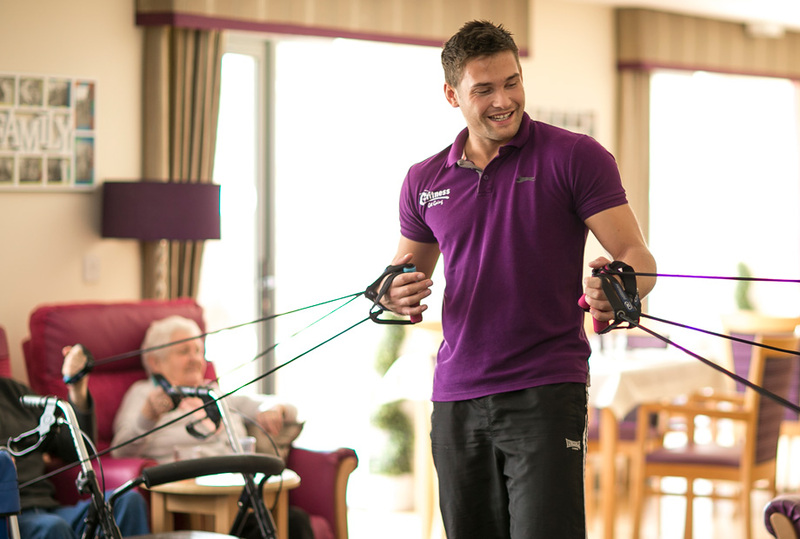 A physically active lifestyle can significantly improve people’s quality of life at all stages of dementia. Some residents enjoy sitting peacefully with their favourite carer in our lovely conservatory overlooking the garden and surrounding fields. Others keep active with live music sessions, baking classes, sensory gardening, hair & beauty treatment and exercise sessions.